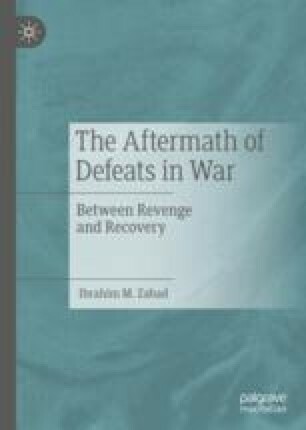 This chapter explores the aftermath of the Bulgarian defeat in WWI and how it brought to light an exceptional and unique experiment in national humility, providing an example of why defeats in wars need not create a collective identity crisis, irredentism, revanchism, and subsequently aggressive foreign policies. This is an understudied and extremely interesting case because it is notably a ‘most likely case’ for radicalization: the breeding grounds of political radicalism were present but not the predicted outcome. Indeed, interwar Bulgaria experienced conditions similar to those of Germany and Hungary after WWI and yet did not experience the emergence of powerful revisionist/revanchist movements. The chapter demonstrates how, in the immediate aftermath of WWI, Bulgaria accepted its defeat, moved beyond the torments of humiliation, and embarked on a course of internal development and reconstruction and moderate, anti-irredentist, and anti-revanchist foreign policy.